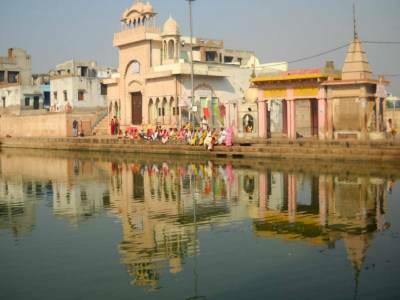 The holiest Pond, Radha Kund is situated near Govardhan hill in Vrindavan of Mathura. 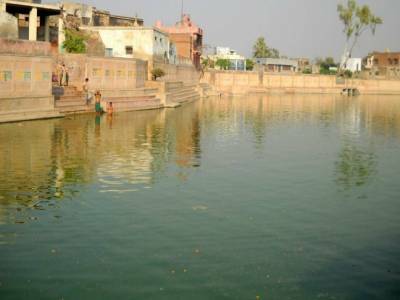 There are two adjoining ponds - the Radha Kund and Krishna Kund. The Lord Shri Krishna himself created a large Kund by hitting his heel on the ground. Epic stated, when Lord Krishna was too young and his maternal uncle Mama king Kans was repeatedly tried to kill him. One of such attempt on his and his brother Balram life; was when Lord Krishna Mama Kans sent a demon, the name Arishta, who assumed the form of a Bull and attacked the Lord Shri Krishna and Balrama. However, the Bull was easily overpowered and killed by the Lord Krishna. The demon Arishta belongs to a cow family and it's killing is considered to be a sin at the asking of Radha and other holy men; and to compensate for the sin and suggested to bath in all the holy waters of the whole world, Lord Krishna created a large kunda by striking the ground with his heel. Thereafter, Lord summoned all the holy places who in turn entered into the Kunda in the form of water; and thus was created the kunda with all holy waters. 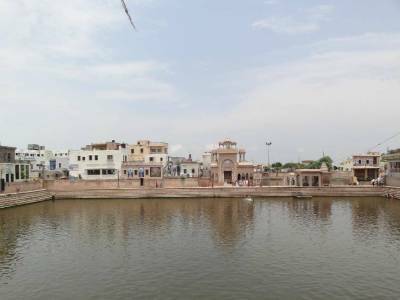 Lord Krishna then bath in this kunda and popularly known as Krishan Kund. 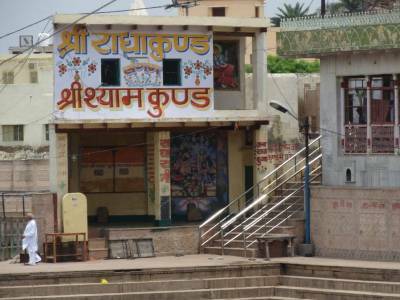 Afterward, Radha diggings the adjacent place with her Kangan (bracelet) and give the permission to the holy places of waters to enter her kunda then water flowed from Krishna kunda to Radha kunda. It is considered to be the supreme of all holy places, containing the purest and sacred water. Radha Kunda is well maintained, said to contain magical properties to heal and for conception. There are many number of foreigners and Indians tourists come to taking dip in Radha Kund. 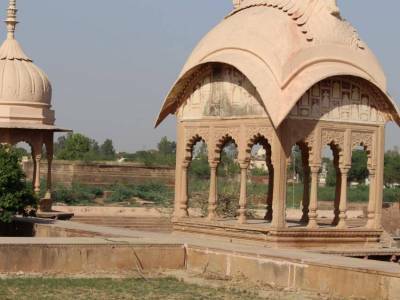 Get quick answers from travelers who visit to Radha Kund.